Whether your home has a sizeable pool and landscaped grounds or a petite patio decked out with pot plants, your outdoor space can be an extension of your home. Here’s how to style your outdoor decor, select your outdoor furniture and maximise your Vitamin D intake where you lay your swag. There’s nothing more decadent than stretching out with the paper in the midsummer sun and catching up on the latest news through osmosis, occasionally stirring to wet your lips from a beaded glass of sauv-blanc. 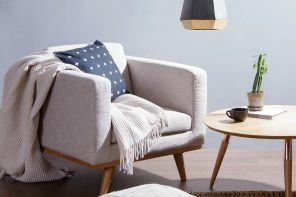 All you need is a small round table, two chairs and a little thumb-to-jaw thinking to transform even the smallest space into an entertaining nook. 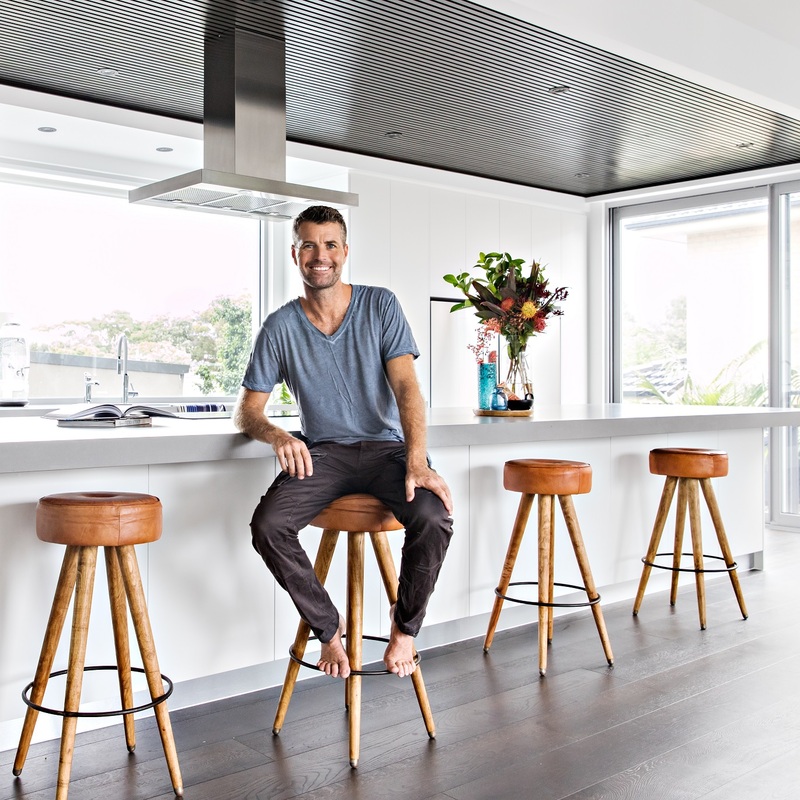 Here are 7 steps to re-vamp your space. You’ll be camped out on your outdoor furniture before you know it! The Karlstad Dining Chair and Modena Dining Table from Hartman. 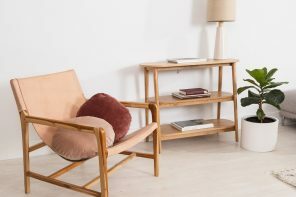 Shop all outdoor furniture online at Zanui. So the gods have gifted you a concrete garden… There are remedies for this perhaps less-than-dreamy aesthetic. A quick pit stop at the local hardware store will see you armed with interlocking deck tiles available by the square metre. These little gems are great for hiding fugly tiles or rude-as paving. Plus, if you’re renting you can take them with you when you leave. Operation Ugly Overhaul is launched. 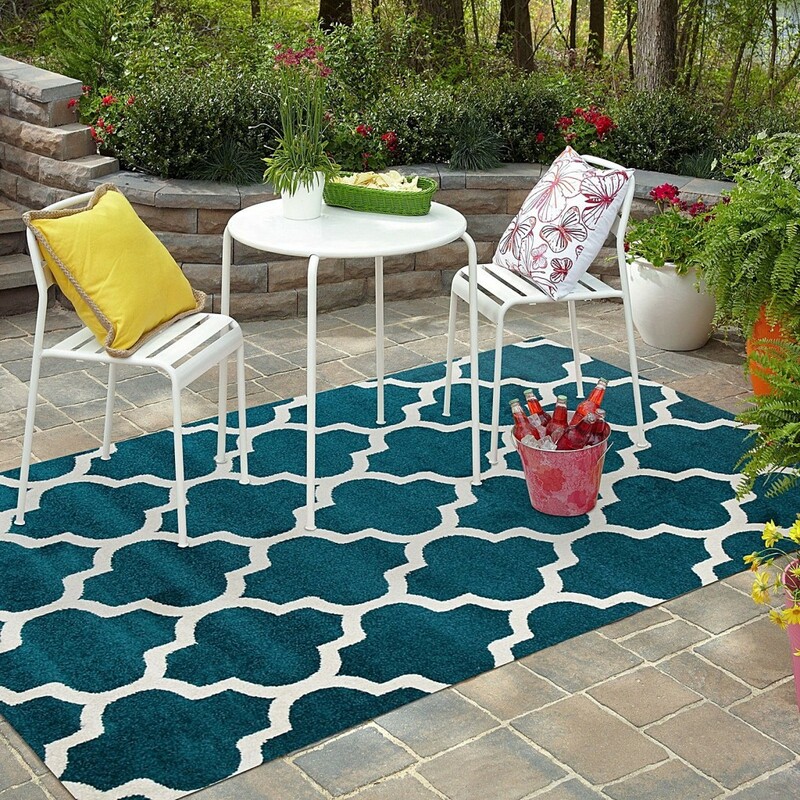 Outdoor rugs are another easy win. 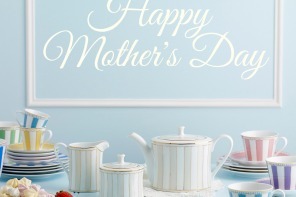 They’re fuss-free and make a space feel finished. 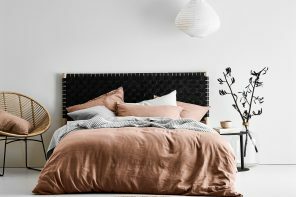 Whether you’re working for French provincial ambience (think jute*) or a Malibu beach vibe (bold + brassy stripes), a bit of textured textile under your tootsies makes for an instant spruce-up. *Jute rugs add rustic accents but only work in under-cover spaces. 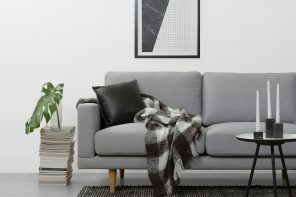 See here for 5 reasons to opt for this golden fleece of natural fibres! 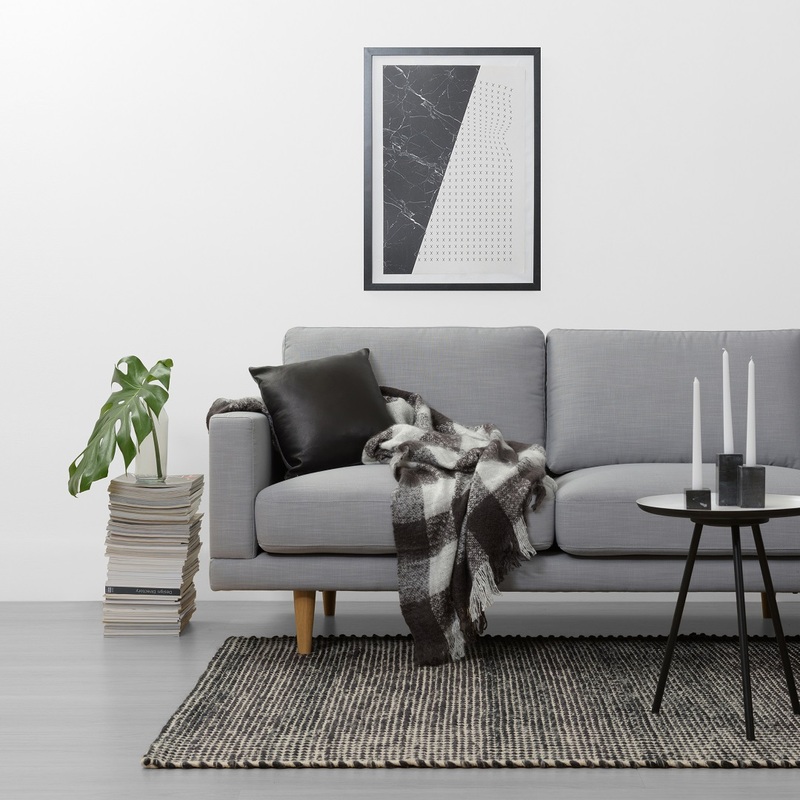 The Char Indoor/Outdoor Rug from Rug Republic. Shop all outdoor rugs online at Zanui. Perhaps the most important of considerations… Comfortable seating. 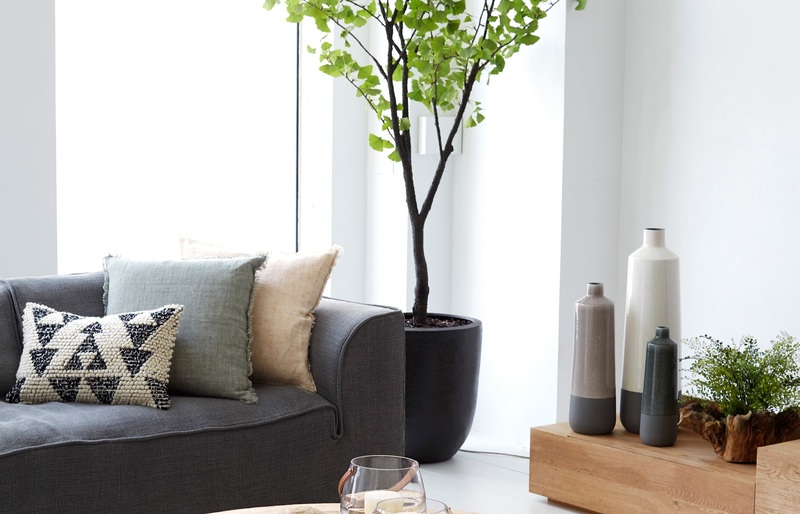 Creating a relaxing and inviting space is key, even if it’s only big enough to entertain your own thoughts. Outdoor barstools and dining chairs allow you to feast under the firmament (or eat under the stars), whilst lounge chairs enhance the fine art of repose. 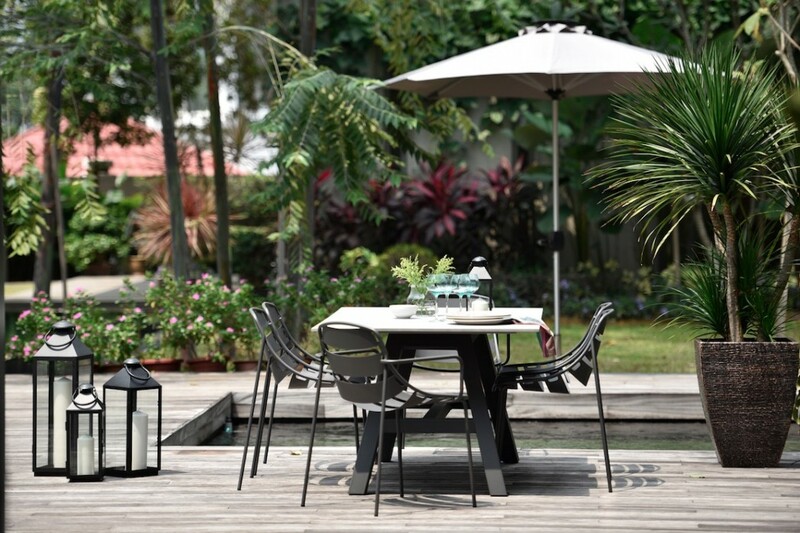 From rattan to powder-coated steel, your outdoor furniture options are vast and varied. 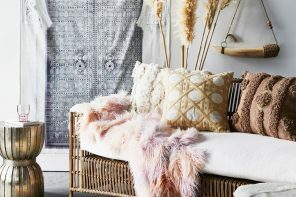 Floor cushions and crates introduce casual boho flair. Think chevron, floral, geometric, and mandala designs. Bold block colours also work well: we love mint-green and rich apricot for a contemporary vibe. 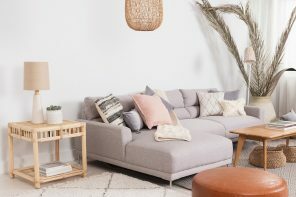 Create a conversation-pit with ottomans, stools and pouffes and serve up your favourite summer cocktails as the sun sets. Fire-pit optional. The Panama Stripe Floor Cushion from j.elliot HOME. 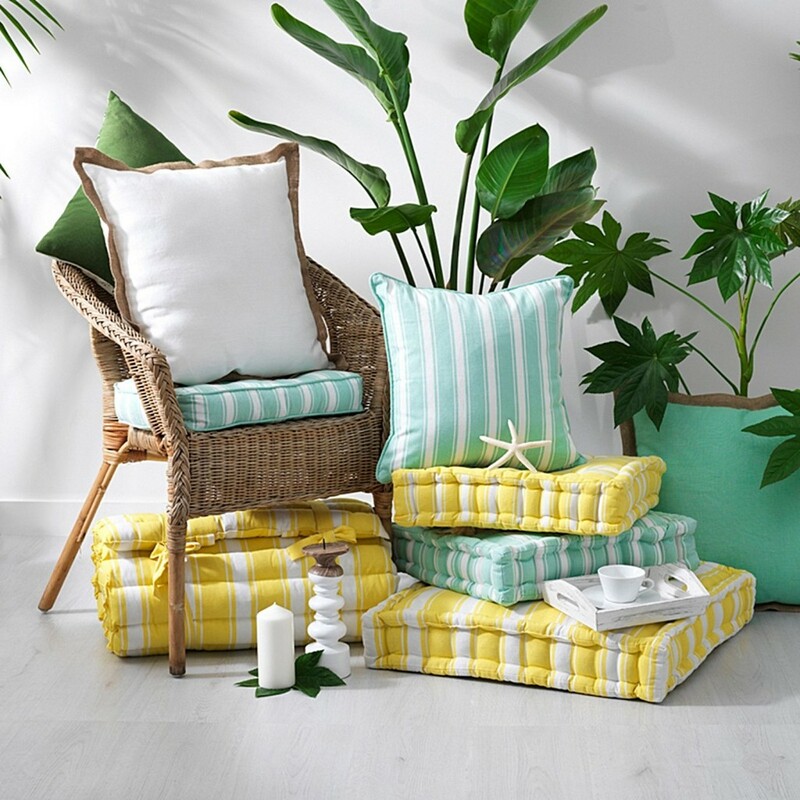 Shop all outdoor cushions online at Zanui. 3. Lay on a delicious spread! For the degustationally-minded, a sturdy outdoor table is a must. Earthen colours are understated, allowing your environment to be the star. Select from wood, metal and concrete tops, polished or distressed for unique patina. No room? Invest in a picnic rug. Or alternatively, low rattan coffee tables are handy additions to poolside and lounge areas. Perfect for resting your laptop, latest reports or just your bevvie while you rest your eyes. 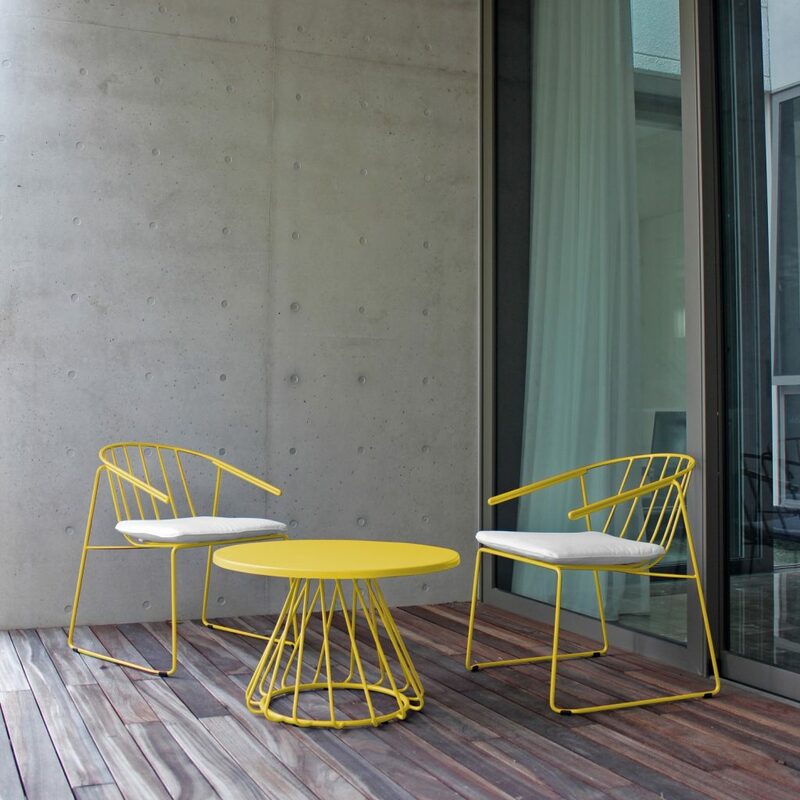 The Deltona Outdoor Lounge Chair, Yellow from Zanui. 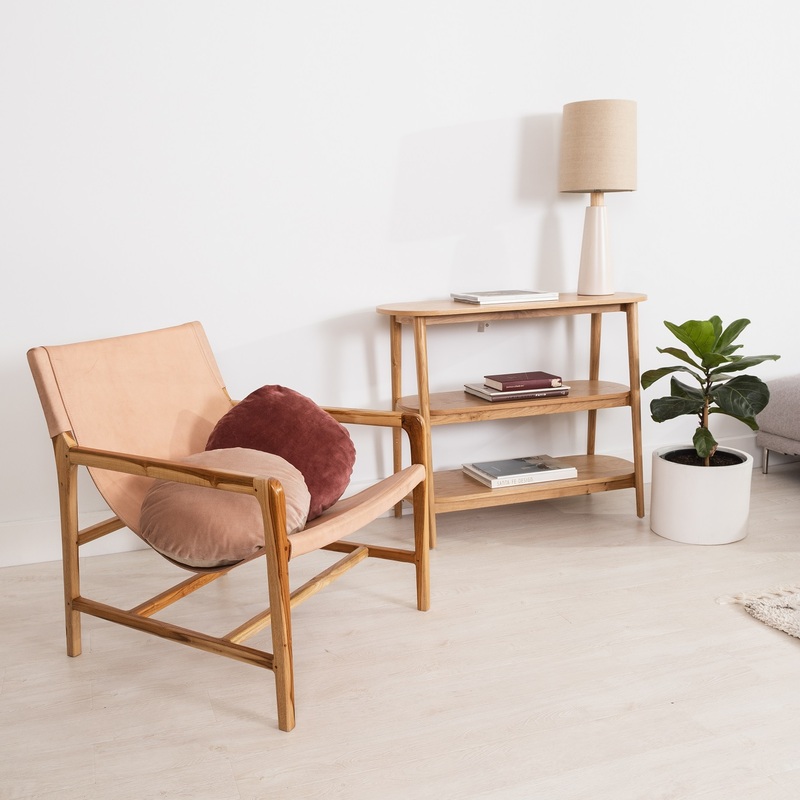 Shop all outdoor furniture online at Zanui. As the day slides into dusk, the atmosphere is positively decadent already. Nature is doing it for you, pulling out her pastels and painting the eve in rich broad strokes. 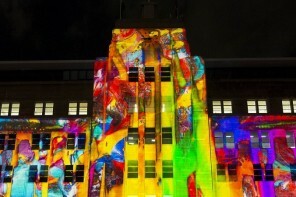 Subtle lighting is all that’s required to accentuate its organic beauty. Enhance the mood with candles and lanterns, fairy lights, tiki torches, hurricane lamps and the like. Learn how to make your own mason lighting here. Mmmm… How’s the serenity? 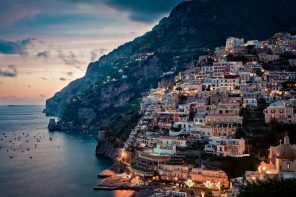 The James Lantern from Amalfi. 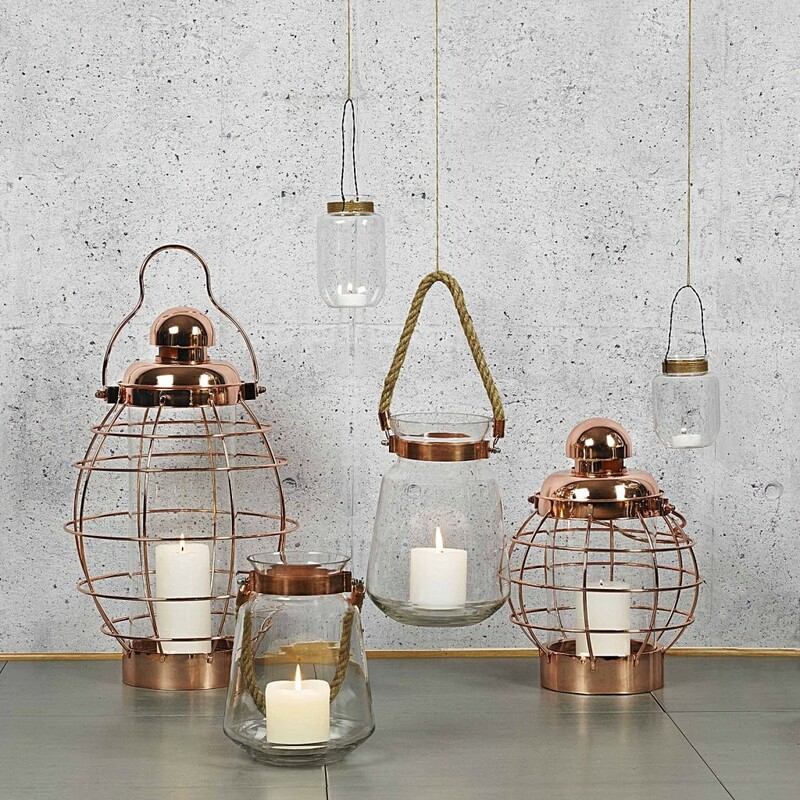 Shop all candle lanterns online at Zanui. Introduce lush greenery in unexpected spots. Opt for topiary and standing palms to accent your outdoor furniture – cheating with the artificial flowers and plants is alright by us! Put up a trellis and coax a vine through it. Or a tomato plant for delicious rich red colour pops. Space poor? Look up. Decorate your vertical space with hanging pots of flowers and ferns. Invest in a good-looking watering can for vintage flair. Plant bulbs in it if you’re so inclined. Add in a window-box of bright blooms or home-grown herbs. Learn how to create your own edible garden here. The Mr Greengrass pot collection. 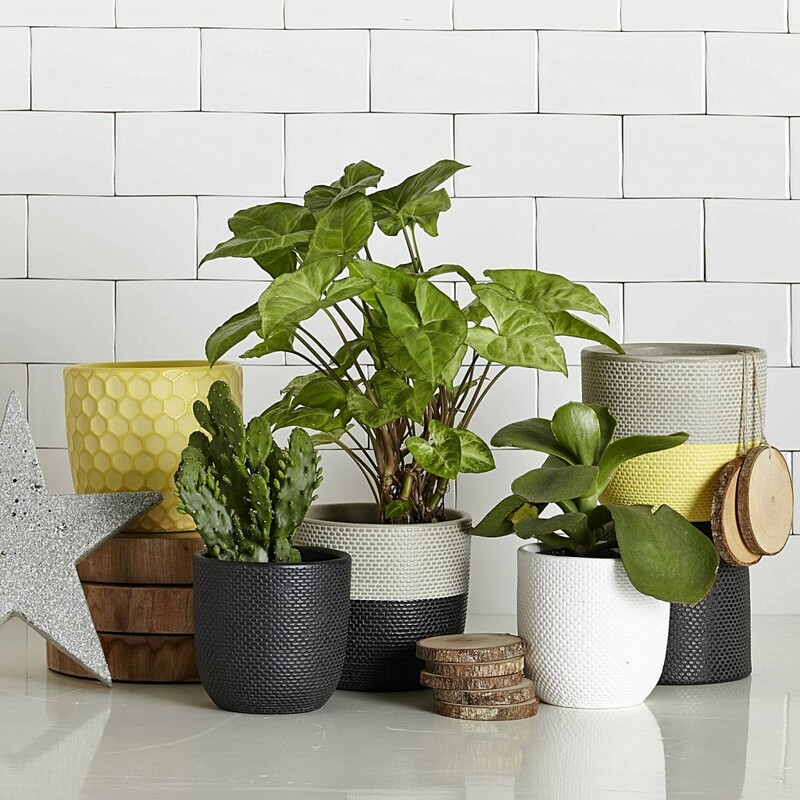 Shop all pots and planters online at Zanui. Outdoor furniture only goes some way to defining your aesthetic. A few choice decorative accents make all the difference. 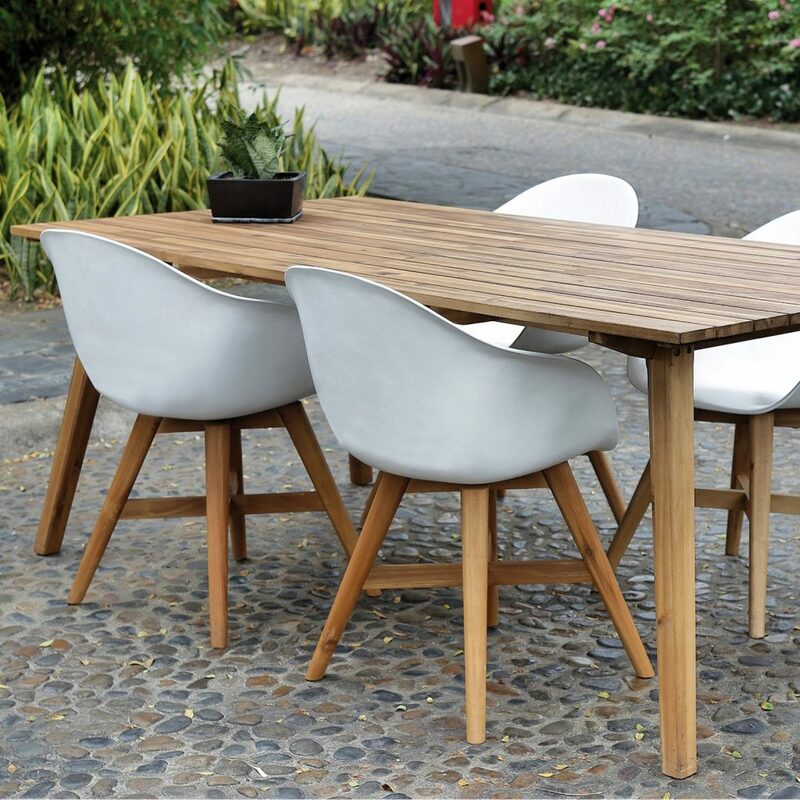 Got your outdoor dining table and chairs sorted? 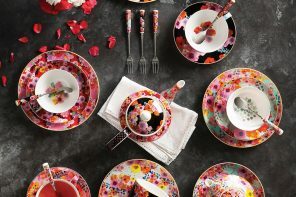 Treat yourself to a tea set and cake plates, and a runner for the table, a tea tray, and napkins for veritable old world charm. 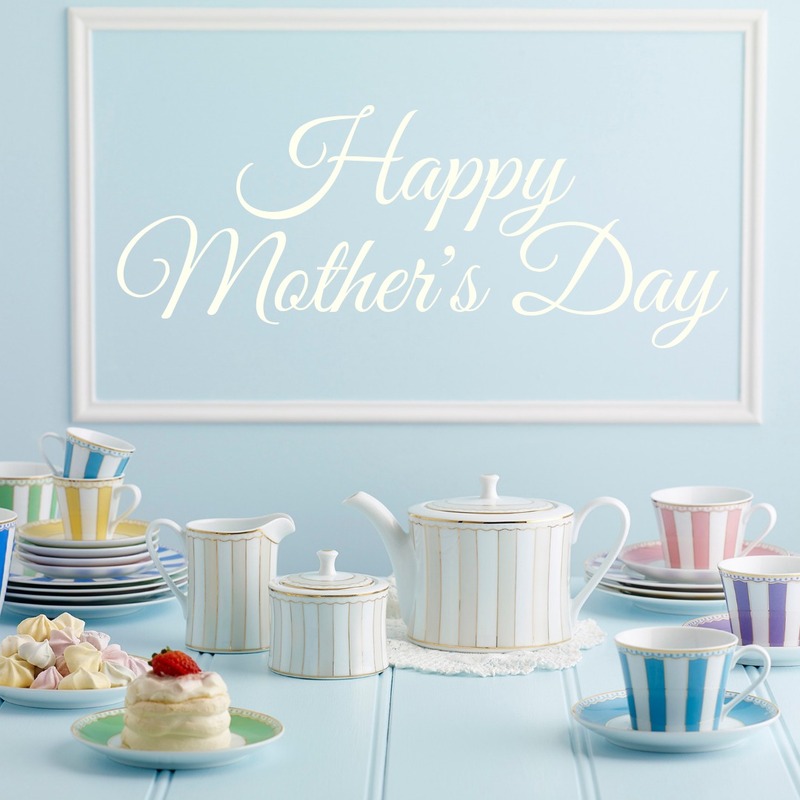 Host your very own high tea complete with drop scones and cucumber sandwiches. Chill the bubbles in a Gatsby-gorgeous ice-bucket. Like an edge of the exotic in your aesthetic? Pique your space with red-hot hues and inky indigo blues for a touch of the Marrakesh markets. Opt for ornate pillows adorned in Moroccan designs and polished metal urns for an eastern vibe. 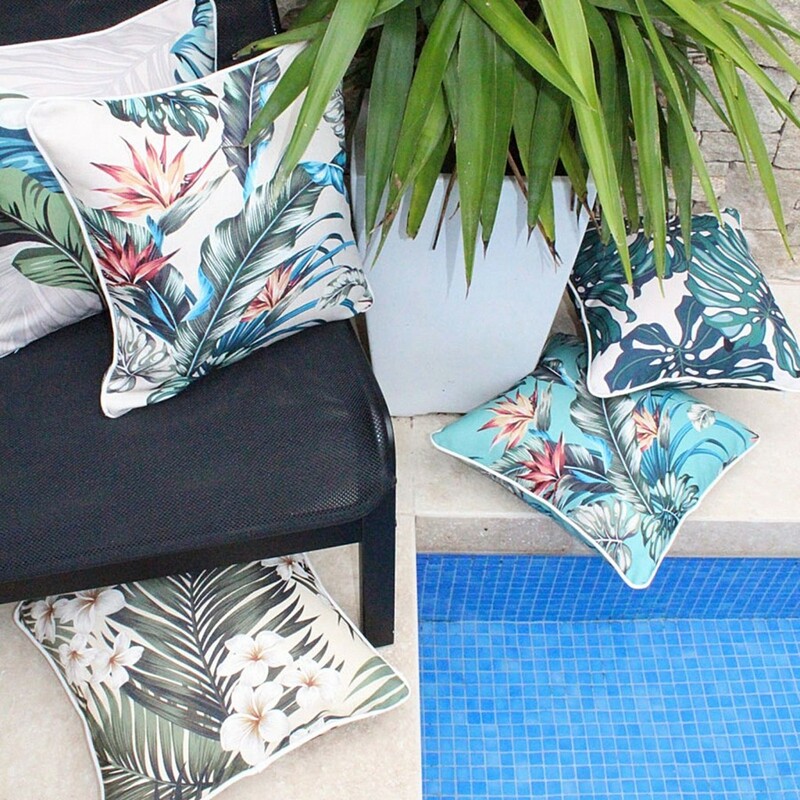 Escape to Paradise cushions. Shop all outdoor cushions online at Zanui.